A new Canadian snowboarding film, Full Moon, is showcasing some of the best female riders in the world – and taking on the male-dominated genre of snowboarding movies. 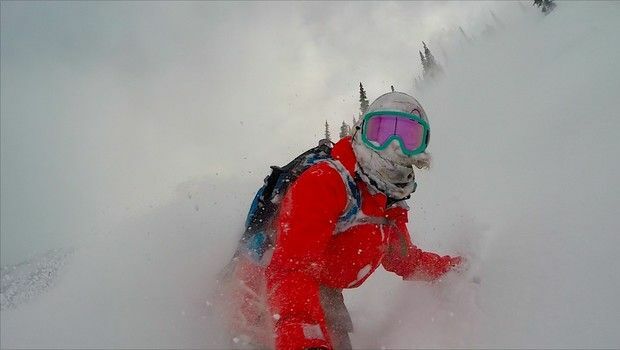 Full Moon is the work of Whistler producer, director and pro snowboarder Leanne Pelosi, who joined forces with seven other epic female riders to make the film. Part homage to the pioneers of the sport, part big mountain snowboarding showcase; the film was shot all over British Columbia, as well as Alaska and Italy. Daily Hive spoke to Pelosi as she tours Full Moon, to discuss wild rides, majestic backdrops, and the macho world of snowboarding films. “There’s a lack of light shone on strong, talented, amazing women, and there definitely should be more for sure,” said Pelosi. Pelosi was born in Calgary, and initially dreamed of playing pro soccer, even making it on to the Canadian Junior national team. But after a car accident left her unable to play, her passion switched to her other favourite pastime – snowboarding. 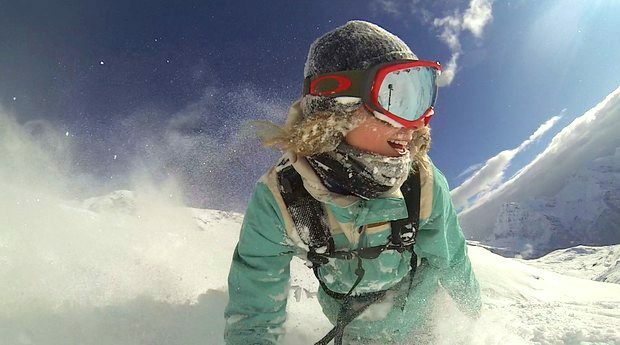 She gave herself a year to spend in Whistler and become a pro snowboarder. More than a decade later, she’s still there and loving it. Over the years, not only has Pelosi appeared in endless sponsor videos, she also co-produced two snowboarding movies of her own – See What I See and La La Land. Almost a decade later, after a lengthy hiatus from filmmaking, Full Moon is the realization of a dream for the pro snowboarder. “I’d always had this dream to one day resurrect all this old footage and make a film that showcased the past and present and future of women’s snowboarding,” said Pelosi. Of course, as well as rider interviews and vintage footage, Full Moon also features some seriously impressive big mountain riding from its all female crew. Filming in Alaska was particularly interesting, says Pelosi, given that most of the snowboarding industry were competing to shooting there at the same time. “You’re fighting for the helicopter, you can’t get on certain lines because everybody is filming and focused on that, and then the terrain is insane,” she said. But each of the Full Moon locations offered up its own advantages, said Pelosi. Whistler’s backcountry mountains have a special place in Pelosi’s heart. Pelosi’s crew of female snowboarders included Helen Schettini, Robin van Gyn, Marie-France Roy, Annie Boulanger, and Hana Beaman to name just a few. Some of them, including Pelosi, have previously appeared as what she calls the “token” female rider in the few male-dominated snowboarding films that include women. 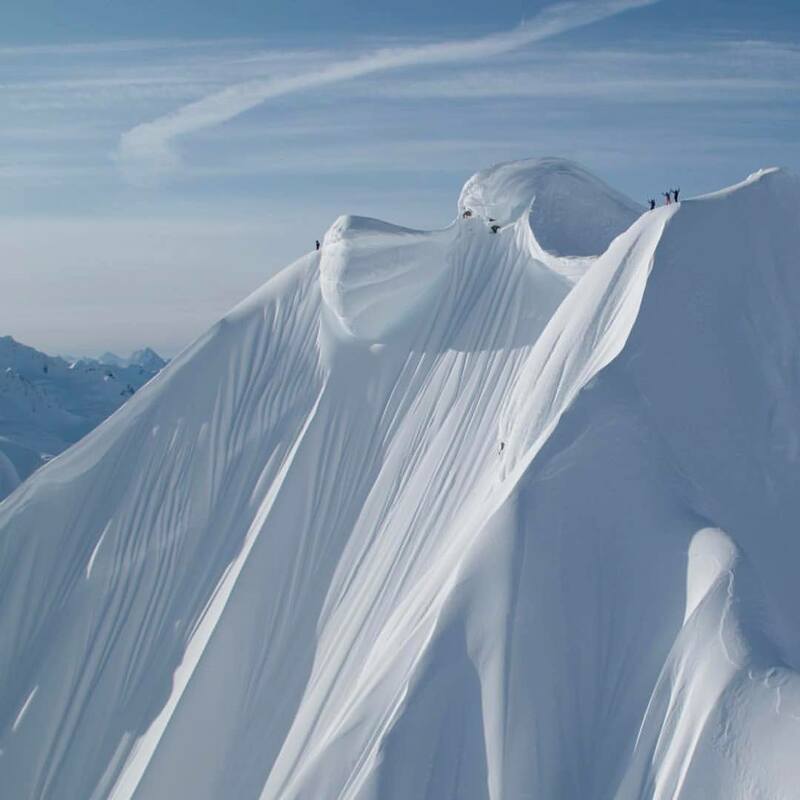 But Pelosi says female snowboarders are often sidelined – no one asks what they want to do, they go wherever the guys go and they get last picks of the lines. Full Moon was a completely different experience, says Pelosi. Even when the men riding in those movies are supportive, says Pelosi, it can still be difficult to overcome the level of competition and testosterone flowing. “I’m not saying they’re not going for it any harder than us. Definitely we are pushing our boundaries, pushing our mentality – the mental side of the sport – as far as we can. Even in the sponsorship world, says Pelosi, getting equal representation can be difficult, with many brands thinking a “token” woman is enough. “I don’t want to be just the one girl, the token female represented on a brand,” she said. Pelosi says there is a guys vs. girls mentality in the snowboarding industry – but she’s trying to change that. “It’s a big circle. There’s no girls in the spotlight, so nobody thinks there are any girls that are pushing it in the sport,” she said. Pelosi isn’t shying away from that statement – she’s planning to use part of the profits from Full Moon to take a promising female snowboarder riding in Alaska. And as far as riding level goes, Pelosi says female snowboarders are at an all time high right now. Pelosi emphasizes that point with an anecdote about how, while filming in Alaska, her female crew inadvertently laid the groundwork for the men who came after them. 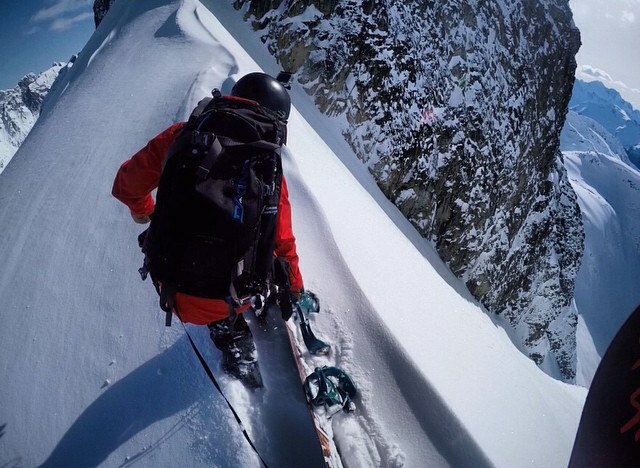 “It’s not easy riding big mountain lines fluidly and our crew killed it in Alaska,” she said. “Some of the lines that we did in our film, you can see our tracks in another film. The guys went there and filmed right after us on the same lines. To all women out there dreaming of becoming pro snowboarders, Pelosi simply advises you to move to the mountains and keep pushing it. Now, says Pelosi, she’s simply super proud of Full Moon. Full Moon is available to stream on iTunes, Google Play and Vimeo On Demand.